Maya Angelou, the poet and civil rights activist, said it best: “People will forget what you said, people will forget what you did, but people will never forget how you made them feel.” The feelings customers take away from an experience with your company are far more important than any “response time” metric. This applies not only to conversations a customer may have with your sales or support teams, but even when they’re not talking to you at all – when they’re on your help center, searching for answers. 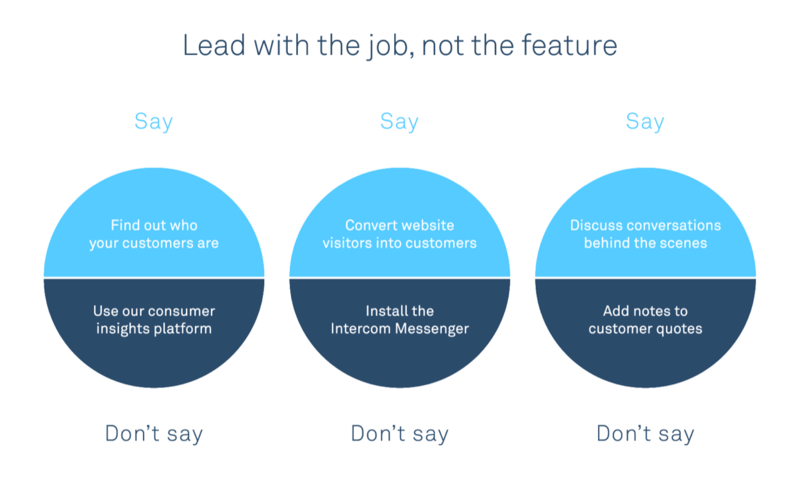 At Intercom, we work hard to figure out more than just what our customers want to do. We study how they want to feel and how they’d like to be helped. Keeping our customers’ needs in mind helps us create content that sets our customers up for success, and motivates them to achieve it. Here are 7 strategies you can use to create help articles that really help. 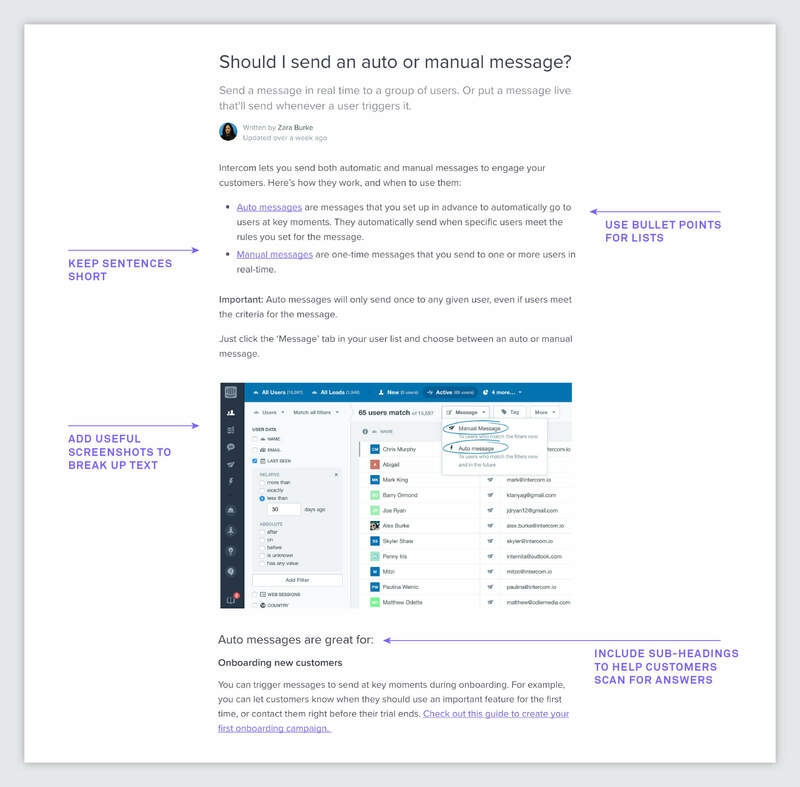 To walk through an important workflow, create a how-to article. To excel with a feature or product, create a best practice article. To answer a pressing question, create an FAQ. To solve a common problem, create a troubleshooting article. Negative emotions can stunt learning. Imagine how your customers are feeling when they land on your help center. Maybe they’re confused about how a feature works, frustrated that they can’t figure out a particular problem or hungry to learn more about your product. Few companies take the time to anticipate and address the real frustrations customers experience. When you reach out to ease your customers’ concerns, it helps instill an upbeat attitude, which in turn inspires learning. Pro tip: Pay close attention to the friendly, empathetic attitude your support team uses and work this into your help content. There’s a reason marketing content is more memorable than most help content – it has context. Marketing is about telling users what they can achieve with your product, while a lot of help content simply focuses on the tool. By clearly outlining the job customers want to do, we can create content that gives users that ‘aha!’ moment. For example, “Work together to reach your project goal on time” is likely to resonate much more than “Here’s how to use ExampleApp’s team feature”. Come from customers themselves. This article on tracking events uses examples of the most common events that customers create in Intercom. Provide real value. 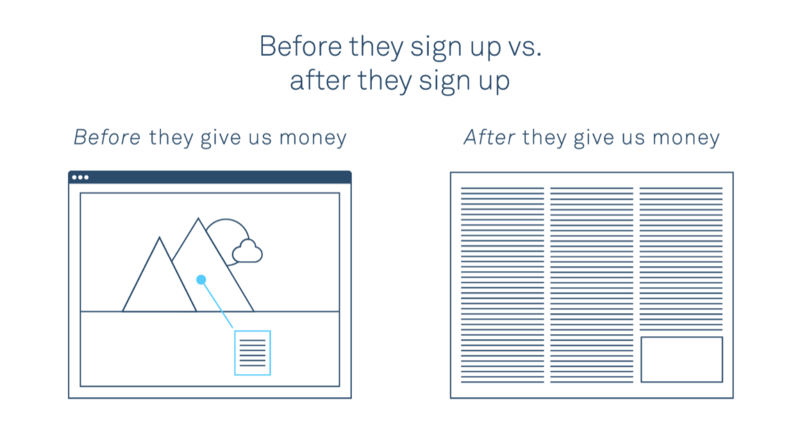 At Intercom, we strive to share examples that improve our customers’ bottom-line – things like converting trial users into paying customers, retaining customers before they slip away, etc. Appeal to the majority of customers. Don’t use edge case examples most customers won’t be able to identify with, as they’ll make it harder for the majority to find what they need. Using images in your documentation lets you simultaneously show and tell. They remove the need for enumerating steps or writing overly wordy descriptions. Potentially complex ideas can be communicated and comprehended quicker. This makes people feel good ? Zoom out to take landscape screenshots. This gives the full context of the UI surrounding a feature. Don’t crop screenshots in odd places, like the middle of a button or word. Capture the full feature or element. Annotate screenshots to add more context, e.g to call out an important feature or a specific area. It’s no good writing a great help article your customers can’t find. They’ll soon grow frustrated and give up searching. Instead, pay attention to the words your customers use to ask for help with your product, whether it’s on Google or in your help center. Do some keyword research to find the phrases they’re using to find your content. Article title. Clear, action-based titles work best, such as, “Collaborate together on projects”. Short titles will also perform better when it comes to SEO. 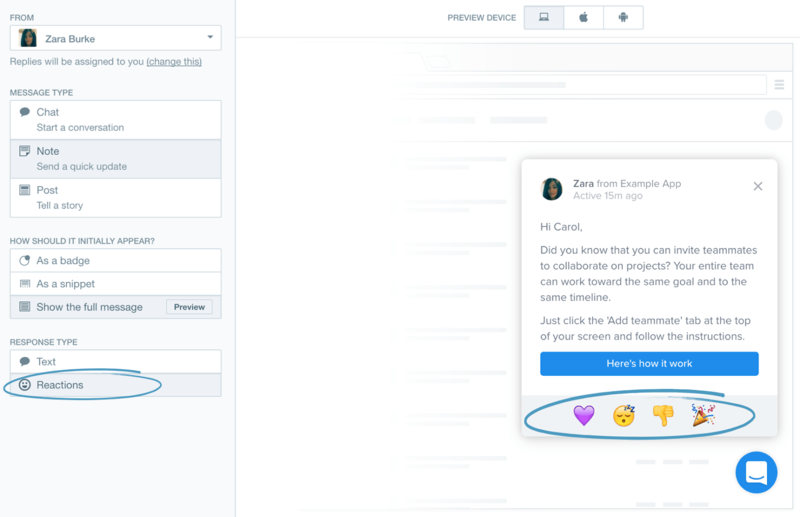 If you’re using Intercom Educate, once you publish your article, the collection it belongs to and the section it’s in will also appear in the URL. Article description. This should clearly define what the article contains and how it can help. Keep it short and to the point (aim for no more than 140 characters). Why do so many companies treat potential customers so much better than existing ones? Potential customers get the perfectly formatted landing page, while existing customers get the barely legible block of 10-pt text. Remember, you’re considering your readers’ emotional needs as well as their practical ones – badly presented articles will instantly anger and frustrate. Don’t bog readers down with a wall of text – use subheadings, bulleted lists and images to break up text, and keep sentences and paragraphs as short as possible. White space is your customer’s friend. When writing help content, it’s easy to hide behind a wall of stilted instructions and presume you’ve satisfied your customers’ needs. But taking a step back and considering their emotional state will help you reassess, write content that empowers as well as informs, and ultimately lead to more successful users of your product.